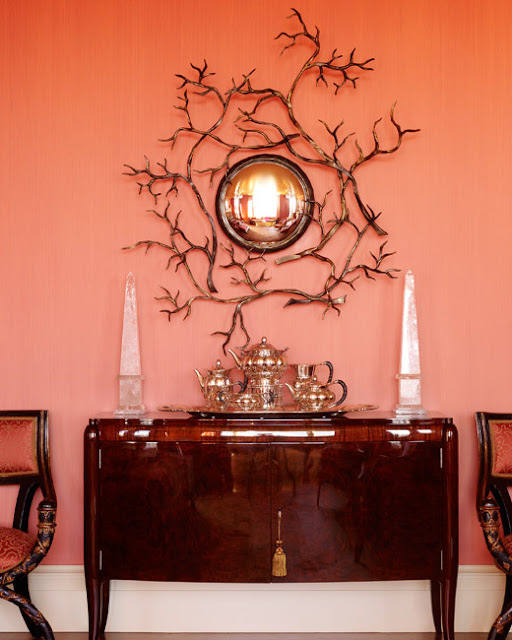 I love how JDG created a space for elegant urban living through vibrant color, graphic motifs and extensive handcrafted elements. 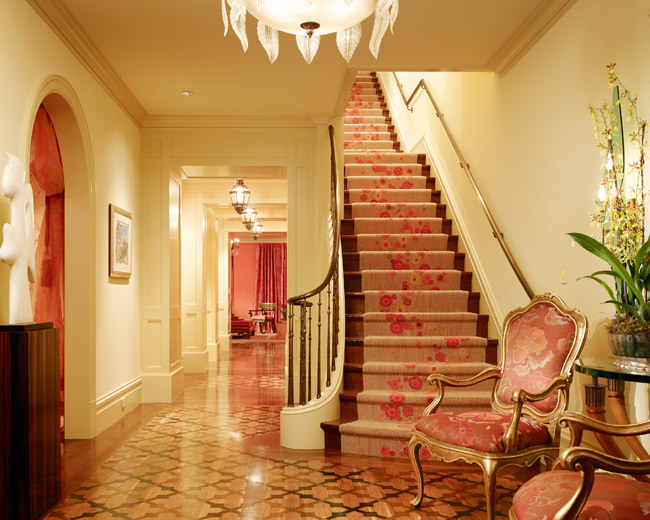 The interior architectural elements were custom designed, including the arched facade entrance to the private sitting room, the walnut paneling in the library and the bronze post and railings on the grand entry stairs. 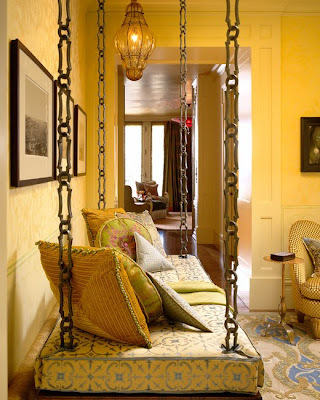 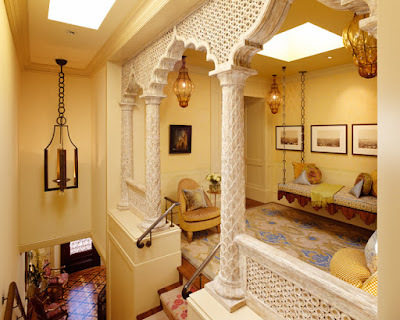 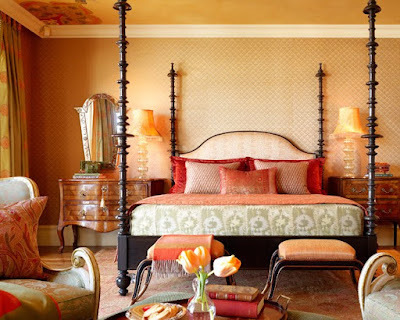 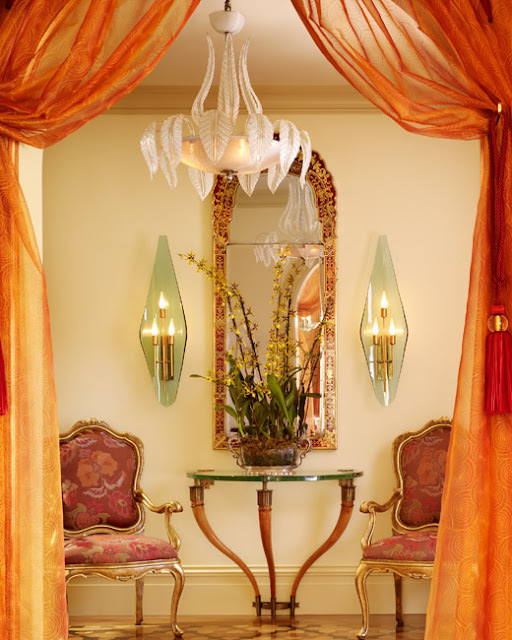 Custom furnishings include the wool-and-silk Vysoski runner on the grand entry stairs that features a motif of strewn petals, the arched bronze-and-walnut settee in living room and the hand-embroidered draperies in master bedroom. 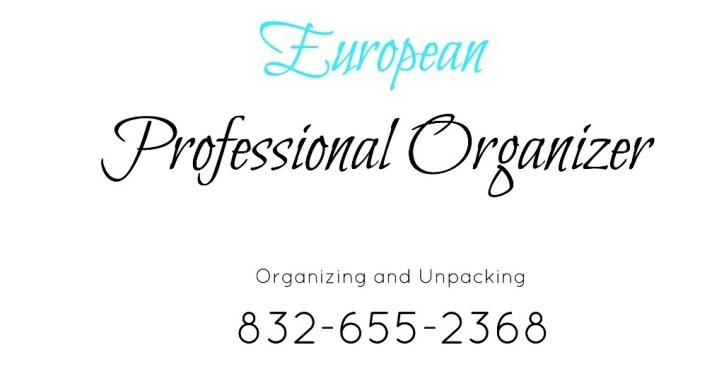 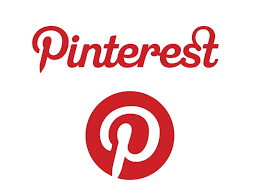 Houston Professional Organizer | Closet Organizer Houston | Residential Organizing Houston. 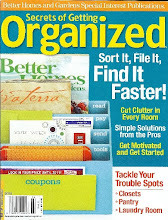 Get Organized Today!